I sent out a “Thank You” email last week to those who attended our Brazilian brunch party. A number of people replied to me. I was surprised. They really appreciated the “Thank You” email. Some thought it was “short & sweet” (which it was intended to be), and one woman said it was “brilliant and eloquently written”. (She’s also English– they tend to use “brilliant” a lot.) I loved and appreciated getting these responses. So, with that said, I wanted to post the thank you here, in the blog. The last paragraph is the most important to me. In case you didn’t see it via email, thank you again for attending Brazilian Brunch! I’ll post photos next. 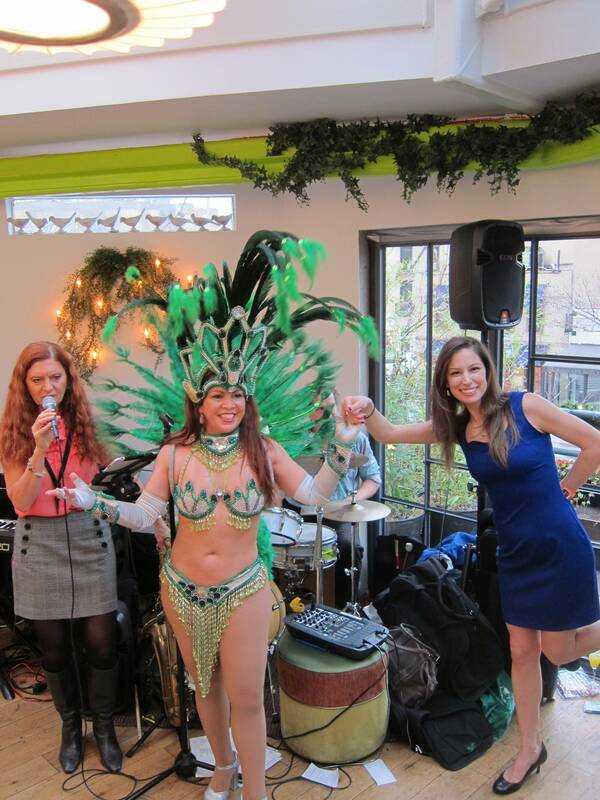 THANK YOU for attending our Brazilian Brunch Party on Sunday, December 8th! We really appreciate everyone’s enthusiasm for the day, and your fabulous Samba dancing skills won’t be forgotten. We’d also like to thank our partner Elance for their sponsorship. Elance is where employers go to find amazing freelancers, and freelancers go to find great jobs. As mentioned on Sunday, great social experiences are a result of great people.Thank you for coming out and being such wonderful guests. We can’t wait until the next BrunchCritic gathering. See you there! Tickets Now Available! – Brazilian Brunch! 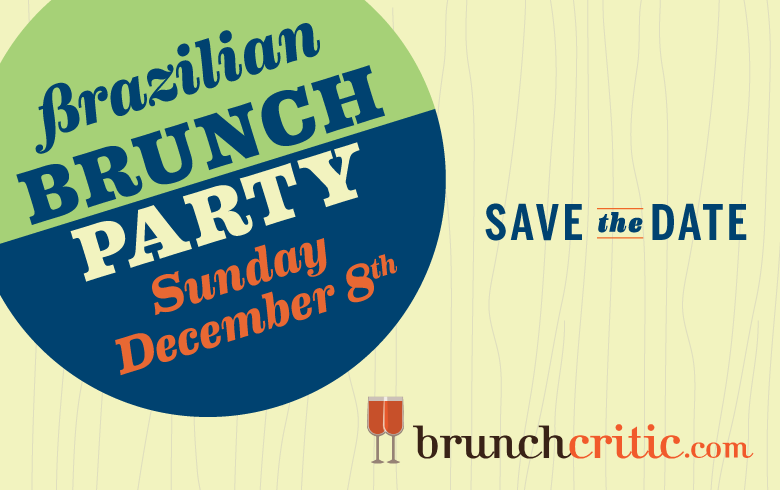 We’re throwing a Brazilian Brunch Bash on Sunday, December 8th and you’re invited. There will be Unlimited Caipirinhas and Mimosas, a live Samba Band, and Brazilian Cuisine. Sushi Samba has brunch? Yep! And it’s quite good! Sushi Samba is a Brazilian-Asian fusion restaurant, but their brunch menu is primarily Brazilian. That means you get to choose entrees like Feijoada, Churrasco and Eggs, Lobster Eggs Benedict, Wagyu Sliders, Shrimp & Polenta, and more. We think their thick, hand cut bacon is especially superb. If you’re more of a sweets person you can order Doce de Leite French Toast and Warm Churros con Chocolate. We’re big fans of Sushi Samba’s 2nd floor and roof level. It was renovated over the summer, and ever since we saw it we’ve wanted to host a brunch party. And now we are. So come join us on Sunday, December 8th. The drinks will be flowing and the Samba going. 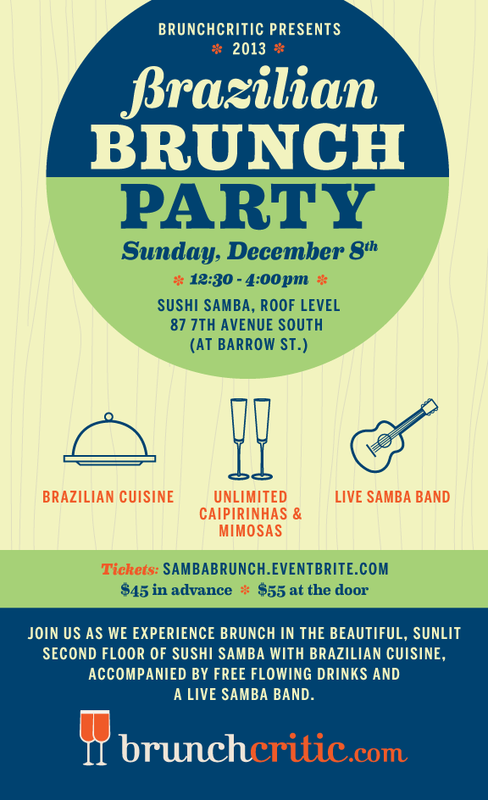 On Sunday, December 8th, we are hosting a Brazilian Brunch Bash. You can expect unlimited caipirinhas and mimosas, Brazilian cuisine and a live Samba band! We’ll be announcing the full details this week so stay tuned!